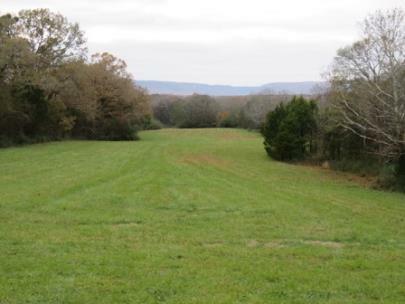 If one drives along Hixson Pike north of the Valleybrook and Ramsgate subdivisions, a truly handsome and low-lying field comes into view on the left near the 7000 block. The field almost seems to head endlessly into Waldens Ridge miles away in an optical illusion that is pleasing to the eyes. 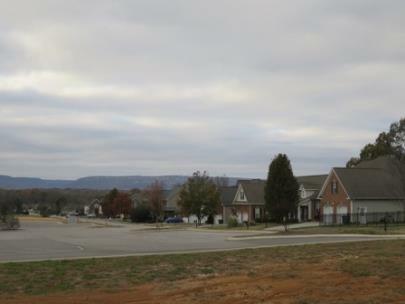 It is also a scene that would have been recognizable to a Hixson resident of the early 1900s. A very similar sight can be found a couple of miles southwest on some old farmland off Middle Valley Road by Hixson High School, too, and along Hixson Pike a few hundred yards south of the previously mentioned acreage. Already sitting next to developments, these places are almost like fields of dreams to anyone who cherishes the seemingly fragile natural countryside around Chattanooga. A short distance away off Hamill Road, however, a passing motorist will understand how fragile the land truly is, if the “for sale” signs on the way down there don’t tip him or her off. At this spot, a couple of similar former fields and small family farms have disappeared in recent months. At one place on the east side of Hamill Road, houses are going in where one home already stood up the slight hill in a large field. And sitting by the road there is a runoff retention pond that hints more of suburbia than the pastoral place it recently was. Across the street and a few hundred yards north, the scene looks more like a weekend fund-raising event involving lots of mud has taken place, due to a long, elevated dirt bed that is being put into place for a new development. The dirt has apparently been shaped by a bulldozer disguised as a giant mechanical clay potter. And it is not just in previously undeveloped tracts where bulldozers can be seen and hammers heard. 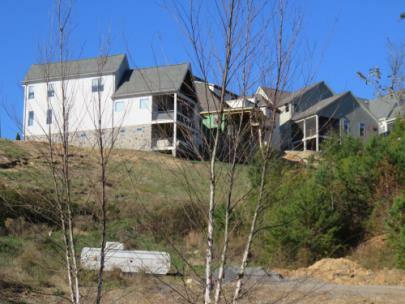 In popular and trendy residential places near downtown like North Chattanooga, houses and apartments are being placed on steep or tricky hillsides in or by older neighborhoods in a manner that seems to take as much engineering skill as placing a man on the moon. The slopes also sometimes look – at least initially – as barren as the surface of the moon. Of course, like making sausage, the construction process is often not as pretty as the end product of having a cherished home in a good or convenient neighborhood, and hopefully one with a nice view. All this effort is being made to build homes and other residences at a number of places because of a market for more housing both away from town and especially close to the urban core. But all this “build everywhere we can” philosophy has come under greater scrutiny lately. On Oct. 30, the Chattanooga-Hamilton County Regional Planning Agency held a public hearing to look at the issue of building on slopes or floodplains near creeks. Most people who spoke at that hearing in front of City Council seemed to be in favor of regulations or stricter guidelines. One woman said some kind of protection is needed because people come to the Chattanooga area for the outdoor amenities, and the value on green space is enormous. But at a City Council meeting two weeks later, some builders criticized the need for any kind of such protection regarding the building on slopes or floodplains, saying such restrictions would hurt the homebuilding industry and cut jobs. It sounds like the debate is literally on a slippery slope, as some in the community are asking whether Chattanooga can afford to have regulations, and others whether it can afford not to. Issues like handling storm water runoff and sewage without literally and figuratively creating a stink, and finding enough affordable housing, are also part of the mix in looking at land use. But what is not being debated is that Chattanooga is still considered a beautiful city in natural terms, thanks to its ridge-like mountains uniquely close to an urban area, the Tennessee River, its woods, and the few rolling and flat fields remaining. Some small areas have of course been preserved, including the slopes of Lookout Mountain that newspaper publisher Adolph Ochs helped set aside years ago for a national park, and the recently preserved Stringer’s Ridge Park. 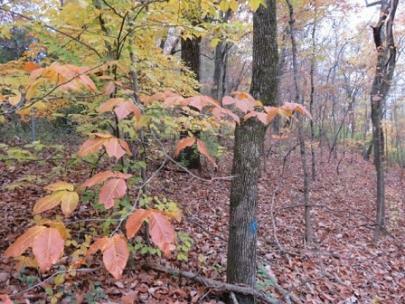 And efforts are also being made to save some of the sloping land going up Signal Mountain above Mountain Creek Road. Also, such beloved lowlands as Reflection Riding and Hixson’s Greenway Farm are going to be with us for a while. But should more areas be preserved somehow through land or money donations, fund raising, or, in a way that some Chattanoogans don’t like: through tighter land-use regulations? What if one or two extra fields along Hixson Pike or elsewhere in town were preserved as pastoral parks or simply to enjoy as nature’s eye candy? Or what if that steep slope with the old trees somewhere in the city near you would remain as it is for your lifetime and beyond? And what if the Chattanooga community had these sloping woods and former farmland set aside every mile or so to enjoy amid growing road traffic? Who knows, maybe all the preserved land would make more people want to move to Chattanooga and add to some of that traffic! And what if – instead of seeing how many condos can be placed on a 3-acre lot after tearing down a couple of historic bungalows -- more creative and cutting edge development was done, so that the areas that are developed are embraced by many beyond those who will be living there? Such thinking might initially be a little disruptive for some builders in terms of their pocketbooks, but in the long run it might just help this beautiful city in terms of its cherished looks. Note: This is another in a series of stories looking at, analyzing and critiquing Chattanooga’s architectural, urban and pastoral landscape. To see the previous story in the series, read here.